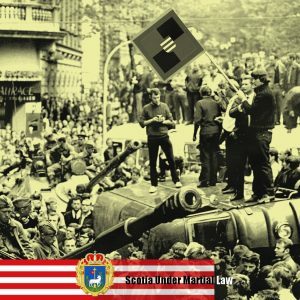 Nordinsel founded, end of martial law. 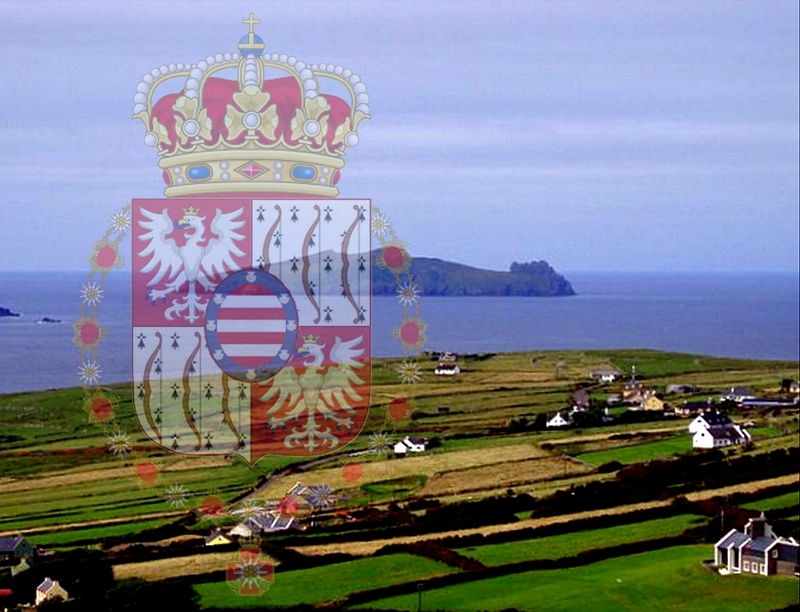 On 01 July, His Imperial Majesty, the Emperor-King Oscar issued the Imperial Decree n. 152-2O18, that established Martial Law over the Principality of Scotia, a state of the Empire located in the Republic of Ireland. The reason behind the first martial law in Karno-Ruthenian history was the “ineptitude of the hereditary ruler of the Principality of Scotia”. In the text, the Emperor-King demanded a public commitment of Prince James IX & I for the return of the activities after more than one year without activity without prior government authorization, what is considered Crime Against the Administrative Order (Articles 17 and 19 of the Criminal Code). The decree also stated that the absence of manifestation would be understood as renunciation of his succession rights in his name and his descendants. That same night, the answer came, but unexpectedly. In a snobbish and playful tone, the prince simply said that he “did not wait for this news”. Outraged, the Imperial Government maintained its demands and waited for the 24-hour period for demonstration. In fact, waited for 28 hours until the 02 July, when Prince James IX & I was deposed as Prince of Scotia and transformed into a common citizen. Legal measures against their administrative inappropriateness, although foreseen in law and previous decree, were not taken at first. Between the decree of the Martial Law on 01 July and 07 July, the governance of the principality was under the supervision of the Command of the Fourth Army, quartered at Viden and summoned by the Emperor to enforce law and order. On the evening of today, however, they were dispersed. On 07 July, the Imperial Decree n. 154-2018 united the empire states with Scottish and Irish culture, Appinfeldt and Scotia, which was renamed to Grand Duchy of Nordinsel. The new state with geographic possessions on both sides of the Atlantic would be governed by the most eligible of the candidates, Michael of Appinfeldt, who in addition to renowned ability as a military and politician, also had Scottish and Irish ancestry.